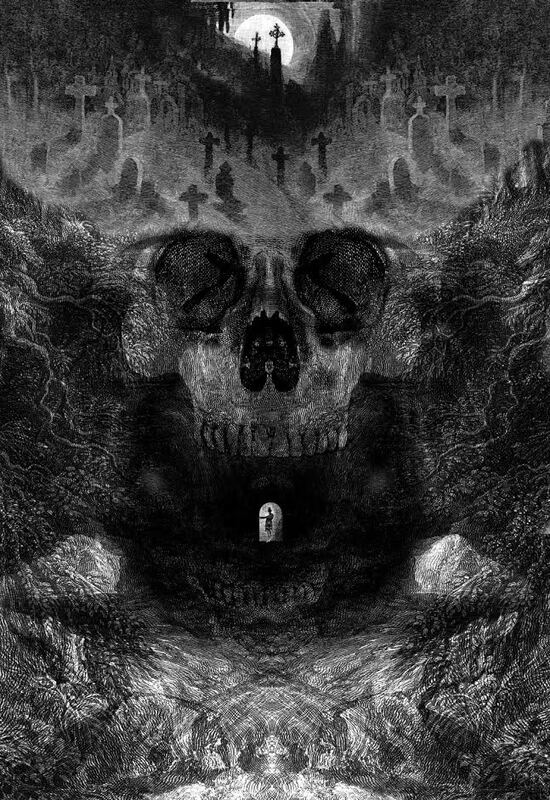 Most horror fans have heard of H.P. 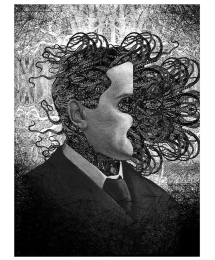 Lovecraft, creator of what became known as The Cthulhu Mythos, and in particular perhaps his most famous story, The Call of Cthulhu, so I won’t go into detail of the stories here. Instead, let’s focus on this incredible edition released by The Folio Society. I was kindly sent a copy of a base edition, a thing of beauty in itself, bound in cloth and blocked with a design by the book’s artist, Dan Hillier who also provides some incredible illustrations that reflect the madness of the stories. Dan is known for illustrating some of Neil Gaiman’s most beloved books. It is a tome worthy of the Necromonicon itself. The book is prefaced by the legendary Alan Moore, comic book writer, performer and Magician. 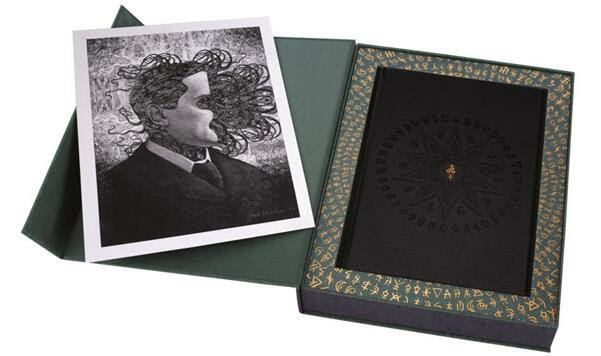 In addition to this beautiful tome, The Folio Society are also releasing a limited edition of 750 copies, bound in eco-simulated leather. The end-papers are hand marbled and comes in a magnetic presentation box, covered in blocked cloth and lined with blocked metallic paper. In addition to the black and white illustrations, it also contains 8 black and gold mandalas. This edition also contains a limited signed print by the artist. Almost secondary to the presentation are the stories themselves – Dagon, The Statement of Randolph Carter, Facts Concerning the Late Arthur Jermyn And His Family, Celephais, Nyarlathotep, The Picture in the House, The Outsider, Herbert West – Reanimator, The Hound, The Rats in the Walls, The Festival, He, Cool Air, The Call of Cthulhu, The Colour out of Space, The Whisperer in the Darkness, The Shadow over Innsmouth and The Haunter of the Dark. 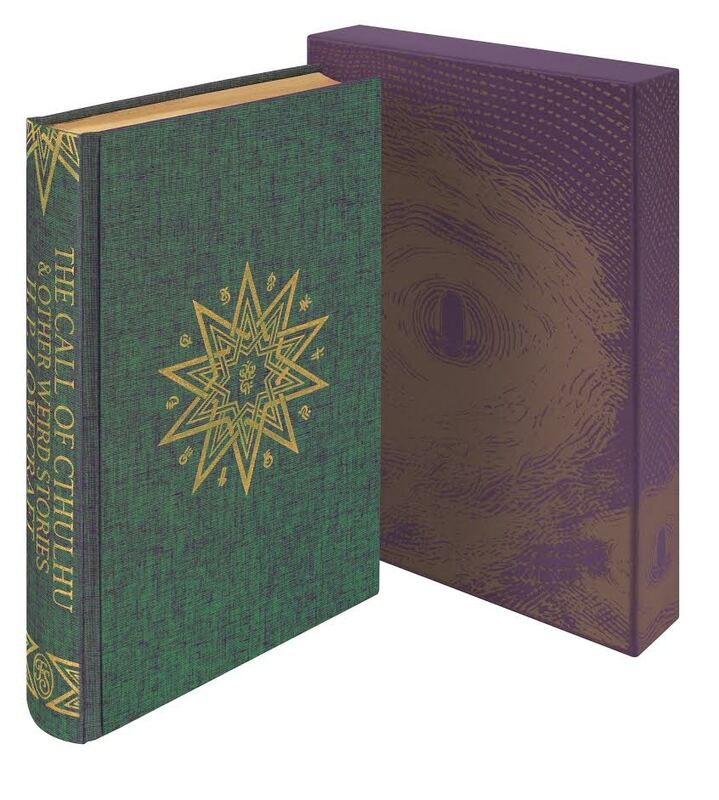 All in all, this is a must for any fan of Lovecraft or serious horror collector and the base version alone would look incredible on any coffee table or bookshelf.